Hello everybody! I hope you guys are well. Yesterday was my mother’s 61st birthday and it was fun spending time with her. My daughter’s couldn’t wait to get to grandma’s house and I wanted to spend as much time as I could so we got up, ate breakfast, got ready and went early to her house. I wanted to bake her a cake, but my dad insisted on buying it so my lazy booty agreed. With enough time today, I decided to make the cake that I had been envisioning and I loved the end result. Also I wanted to kick myself for not making this for my mom. At least, I can make it for my dad who’s celebrating his 61st at the end of this month. I love Betty Crocker’s Super Moist White cake mix and Dolci frutta hard chocolate shell, which you can easily melt in the microwave and it’s delicious. 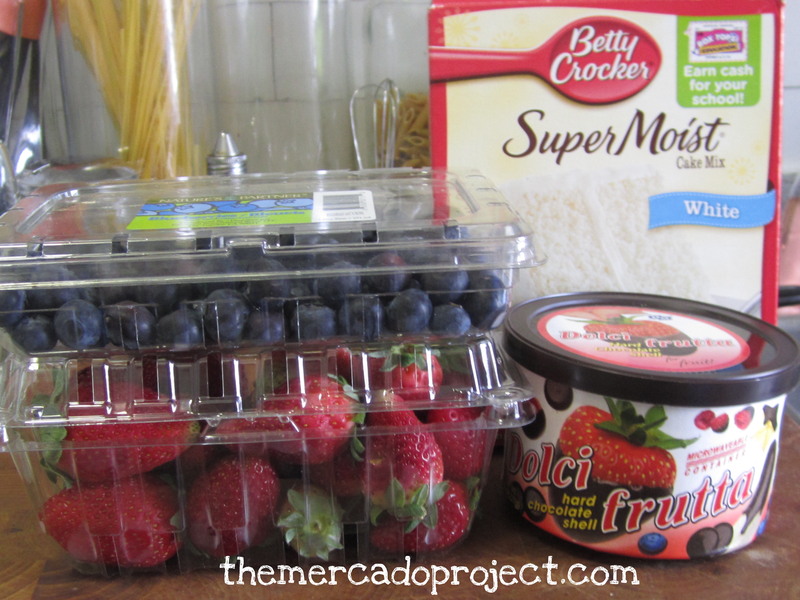 I also used strawberries and blueberries. 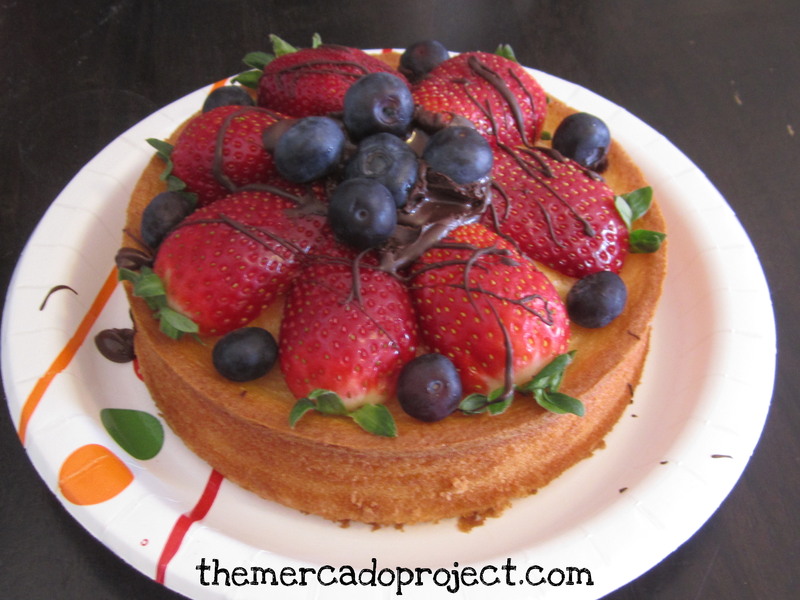 Once the cake was cool enough, I sliced up the strawberries, then melted the chocolate and poured some in the middle of the cake on top and placed the blueberries there. I drizzled some chocolate using the tip of a spoon and there you have it. 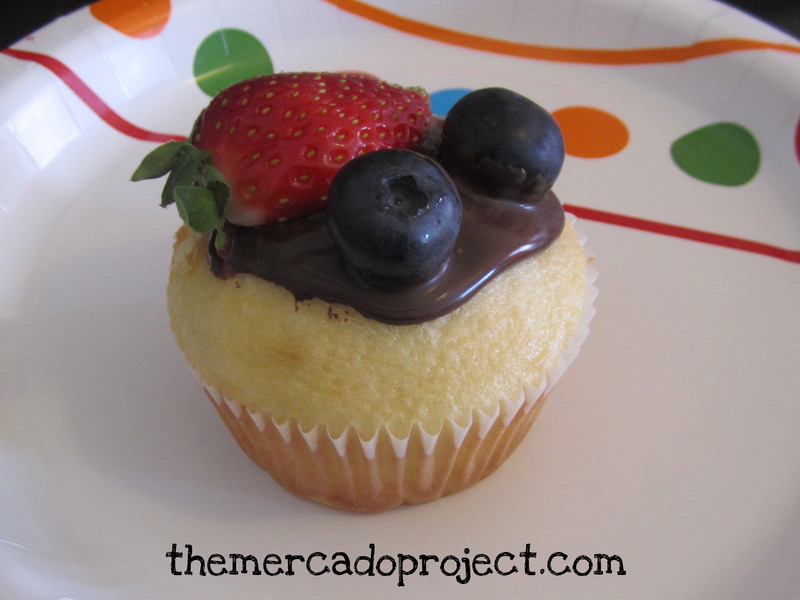 Cake + chocolate + fruits = Yummy! I also made cupcakes and put this together for my daughter. She couldn’t believe it was all hers! I’m definitely going to make this for my dad’s birthday no matter how little time I have. No if’s, ands, or buts about it.